The Lifestyle Improvement & Fitness Enhancement (LIFE) Centre is Singapore's first hospital-based centre promoting integrated and holistic care for patients with lifestyle-related medical conditions, in particular patients suffering from eating disorders and obesity. The one-stop medical facility provides evidence-based treatment for lifestyle-related conditions, and empowers patients to maintain a healthy lifestyle. 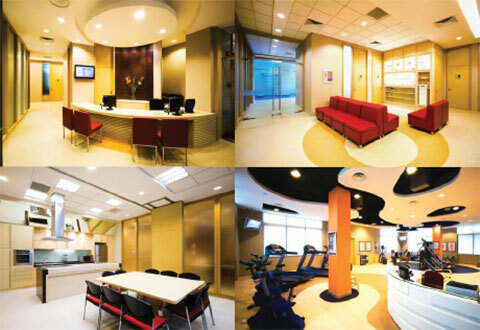 Facilities at the SGH LIFE Centre are specially customised to meet the needs of patients. It has a fully equipped gym staffed by Physiotherapists and Sports Trainers prescribing individually tailored exercise programme and professional supervision the exercise sessions. It also has a fully functional ktichen where one learn the basics of healthy cooking from our Dietician and Chefs. Private consultation rooms enable our medical doctors and healthcare professionals to provide one-to-one consultation or group therapy. Family and individual counselling with the Medical Social Worker, Hypnotherapy with Pyschologists and individual therapy by Occupational Therapist are just some services rendered at the Center. Activities at the Centre also include regular public education lecutures and workshops on different aspects of healthy lifestyle. With advanced equipment and comprehensive facilities at LIFE Centre, a team of higly trained medical professionals will develop and deliver integrated programmes to educate and empower the patient to take positive steps and manage their health through LIFESTYLE IMPROVEMENT and FITNESS ENHANCEMENT strategies.